LALITPUR, Nov. 25, 2015 - Nepalese people watch Narsingh performance during the Kartik Naach Festival at an ancient courtyard of Patan Durbar Square in Lalitpur, Nepal, Nov. 24, 2015. 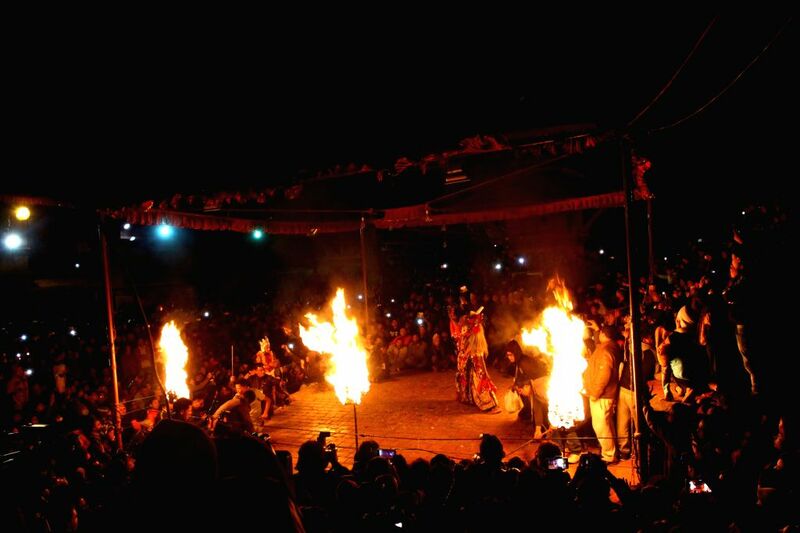 Kartik Naach Festival is held annually as storytelling through dance believed to be introduced in the 17th century. It lasts eight days in the Nepalese calendar known as "Kartik".